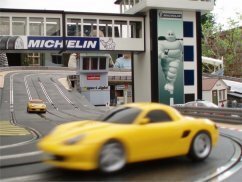 Get Racing is a specialist Giant Scalextric hire company that caters in providing slot car tracks. We supply all of the equipment and personnel required for a complete race event that no one will forget. 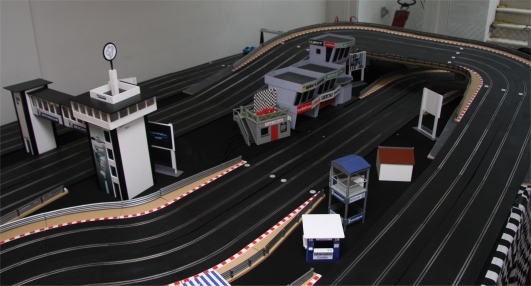 Everyone remembers racing slot cars from their childhood, so why not relive those nostalgic moments with a custom track made to your requirements. 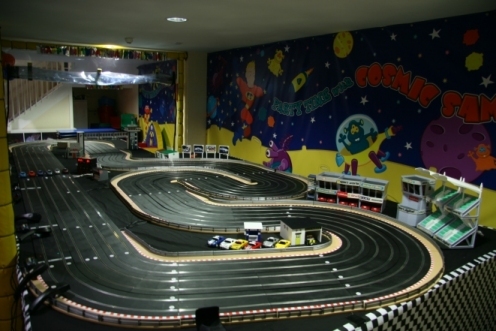 With computer control, a wide range of cars and layouts to suite all sizes, budgets and age groups. Bring out the competitive spirit and see if there are any budding Lewis Hamiltons's among your customers, friends, family or colleagues. You can’t go wrong with this classic big kids toy; we can make any occasion successful and great fun. Copyright 2005 Get-Racing . All Rights Reserved.